The complaint, which was filed in Los Angeles County Superior Court and has been obtained by Curbed, includes not just scooter riders but pedestrians who say they have sustained injuries which include broken wrists, toes, and fingers, torn ligaments, face lacerations, and “damaged” teeth. 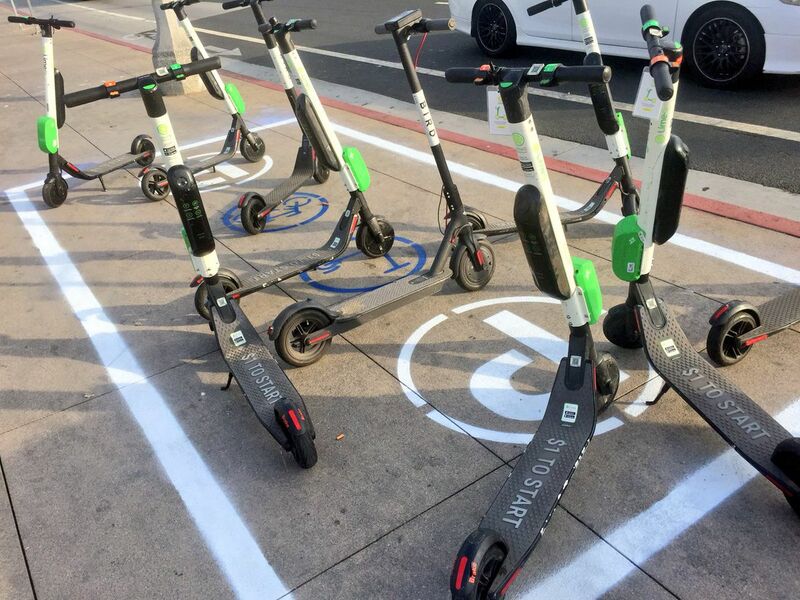 “We filed this class-action lawsuit against Bird and Lime and the manufacturers of their electric scooters to address the terrible injuries they have inflicted on their riders and pedestrians, and the continuing harm they are causing,” Santa Monica personal-injury lawyer Catherine Lerer told Peter Holley, who broke the news of the suit in the Washington Post. Lerer said she has received over 100 calls from people injured by the dockless mobility devices. Her firm, McGee, Lerer & Associates, has a page on its website dedicated to electric scooters. Three plaintiffs were injured by tripping over scooters left in the right of way; two plaintiffs were injured while riding scooters, and two plaintiffs were injured when scooter riders crashed into them while walking. Not all the plaintiffs sustained injuries due to scooters. One plaintiff says a scooter caused damage to his car. A plaintiff with a disability claimed that the way scooters were parked blocked access to disabled parking spaces for cars. In addition to Bird and Lime, scooter manufacturers Xiaomi and Segway are named as defendants on the complaint. Two people have been killed while riding scooter-share over the past year, including a death in Washington, D.C. where a Lime scooter rider was hit and dragged through a busy intersection by a driver in an SUV. No deaths have been reported where people walking were struck by scooters. Several emergency rooms have reported an uptick in scooter injuries, although no city has provided data to confirm the trend. Bird and Lime are two companies which were recently granted contracts by the city of Santa Monica to operate as part of a pilot program. Lyft, which also has scooters on the ground in Santa Monica, was not named in the complaint. The lawsuit says that scooter companies should be required to add additional safety warnings, although those warnings are not specified. On the same day the suit was filed, Lime announced several changes to its scooter model including safety improvements like an aluminum body, fatter wheels, better suspension, and a dual braking system that stops both the front and rear wheels at the same time.